Find out about what schools around the country are doing to engage their parents, whānau and community. Broadwood Area School/Te Kura Takiwa o Manganuiowae is a small rural composite school in Hokianga, Northland. The school roll is 99% Māori, and the school’s approach to education reflects a strong commitment to biculturalism. The Māori cultural values of aroha (love and care) and manaakitanga (respect and hospitality) are promoted and endorsed. Principal Pani Hauraki believes the school belongs to the community, and considers herself and her staff vital members of this community. "Our success is in the strength of whānau. We can’t do what we do without whānau," she says. The school and the community work together to stay connected. Kuia hold social evenings at the school on Thursdays, and also fundraise for the school. The school’s wharenui (marae complex) was built and made possible by the dedication of the community. Parents feel comfortable about approaching principal Pani Hauraki with ideas for both the school and the community. Members of the community often offer practical help. The community is able to use the school’s whare kai (dining house). Parents are actively involved with waka ama (canoe sports). The whole community and school get involved in celebrations. Family and whānau feel comfortable at Te Kura Takiwa o Manganuiowae/Broadwood Area School, as it is seen as very much part of the community. 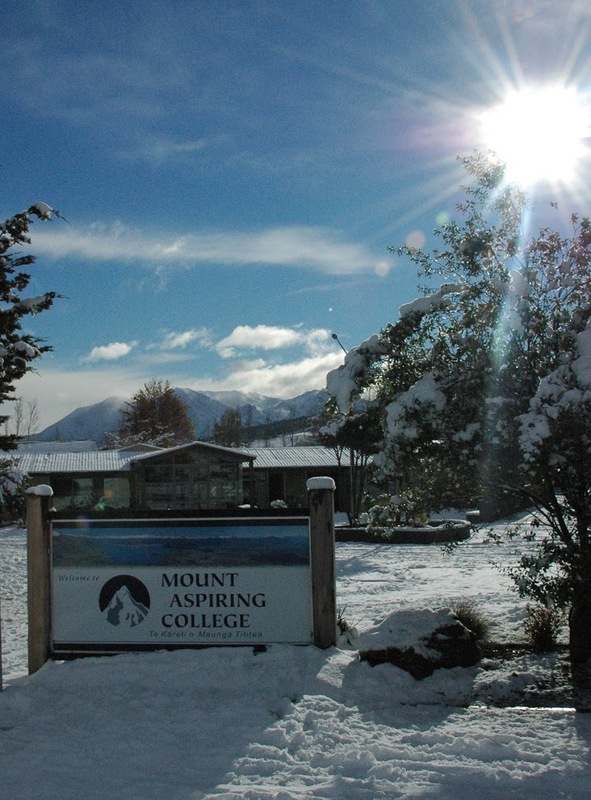 Mt Aspiring College, in Wanaka, Central Otago, has a roll of about 590 students, starting from Year 7. The careers team includes a guidance counsellor, careers adviser and Gateway and STAR co-ordinators. The career space is called "urspace", part of which stands for "social personal and careers education". Urspace is the centre for teaching students new skills and giving them broader life experiences and a sense of belonging. Careers adviser Charlotte Lucas says the reason urspace is so successful is that everyone in the team works together, integrating the support of the family and the wider community. The Students in the Community programme, which runs out of urspace, has been going since 1995. It was developed to help instill a sense of community in senior students by having them meet community needs. The programme provides an opportunity for different generations to work together, with the bonus of increasing interaction and understanding between the college and the community. Year 13 students do a placement for two terms, either after school, in their study period, or at lunch time. The programme is regularly evaluated by an advisory committee, made up of five community members and five students, who also assess the programme and address any issues. increasing their confidence, self-knowledge and sense of community consciousness. The community also benefits from the programme by having the students as role models, coaches, caregivers, helpers, club leaders and tutors. Hamilton Girls’ High School is an inner-city, decile 6 school with more than 1,500 students. The school’s mission is to enable each of its students to reach her personal best. As 21st-Century learners, students need to be confident, connected, life-long learners who are committed to their community. Māori and Pasifika families connect through participation in Mana Wahine and Te Ao Hou days, whānau hui and fono, and mentoring schemes for the students. A home-school partnership initiative has helped the school connect with the Somali community. Staff, students and families share their vision for their daughters at family nights. Under the Personal Best Programme, each student commits one period a week – for one or two terms – to the community or to other students. Initiatives range from working with the SPCA to coaching sports teams. Principal Mary Ann Baxter believes that the girls get the opportunity to engage in a whole range of experiences that might not happen during regular classes, and can also develop many skills to help them in later life. Year 13 students, accompanied by a staff member, volunteer for the Meals on Wheels programme. The students enjoy this interaction with the recipients. In Term 3, most students spend a day serving the community. The girls choose from a huge range of volunteer activities, such as environmental clean-ups, administration work for church or community groups, or assisting the sick or elderly. The school set aside one day when all teachers were available for conversations with parents and students. Teachers were available from 8.30am to 7.00pm, and parents had three to four weeks to book in for meetings. This method of reaching the community was extremely successful, with a parent attendance rate of more than 40%. The school also uses its website to engage the community. Parents and students can submit feedback on the website, and the school has also run an online survey about school initiatives. This helps to make sure that the community has a continuing involvement with these initiatives. 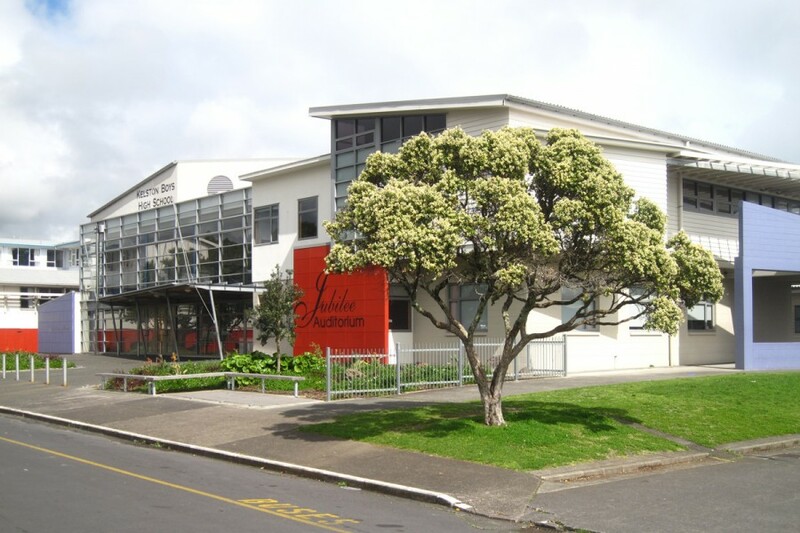 Kelston Boys’ High School is in Waitakere City, Auckland and has an ethnically diverse roll of more than 1100 students. The school has a strong focus on providing academic, sporting and cultural opportunities, and a philosophy that all teachers are career counsellors in their own right. The school therefore expects that each subject area can identify possible career pathways for students. Careers adviser Chris Parsons is passionate about his role and has written a booklet for parents about helping their children with career planning. He hands this out at career evenings and will also make it available for download from the college’s website. Students considering a career in the armed forces can take part in the Services Academy, which prepares students for entry into the forces. The academy runs full time over two terms (20 weeks), and takes up to 20 students at a time. are encouraged to do community work at such places as the Ranfurly Home for Returned Services and local primary schools. The academy has been running since 2007, and Chris is extremely happy with its outcomes, as 75% to 80% of students taking part have joined the forces. "The forces have values that our guys aspire to. It’s also how we engage with kids – we are giving them a helping hand to reach their goals. We give them confidence and self-esteem, because they know if they complete the programme, they will fit the criteria to get in." Some students use the academy as a gap year, entering after finishing Year 13. An important aspect of this programme is its links with parents and the community. Each student entering the academy is interviewed by the school, and parents are encouraged to take part in these interviews. The school also holds an information evening, to talk parents through the programme. Students can also do a one-day "course taster", to decide if the academy is right for them. Students from outlying schools can also attend the academy, so Kelston Boys networks with other schools and holds a promotion day with schools, the benefit being links with the wider community. The school manages students’ courses and progress through an academic counselling programme, creating a strong link between student, school and parents. Tutor teachers help students set specific learning goals, and identify any barriers to learning. They also help students to identify career pathways, which can sometimes lead to referrals to programmes such as the Services Academy and Gateway. The school has a strong commitment to engaging its Pasifika community, and wants parents to feel that the school is a part of their community. Pasifika staff in the school take a key role in conducting focus evenings for parents and students of contributing schools. Kelston Boys uses a question/answer approach to their focus evenings, rather than a pure information-to-parents approach. Chris believes this is a successful model, and benefits the school by encouraging more community involvement.